The story, which revolves around Zari Zoon, a young protagonist, follows Zoon’s journey of loss and love, set amidst the backdrop of Kashmir (Pakistan), and the United States. Given the Pakistani English literary scene’s steady rise vis-à-vis popular literary festivals hosted on home turf and young Pakistani authors signing book deals – for works of both fiction and non-fiction – Kamal’s debut comes at just the right time. 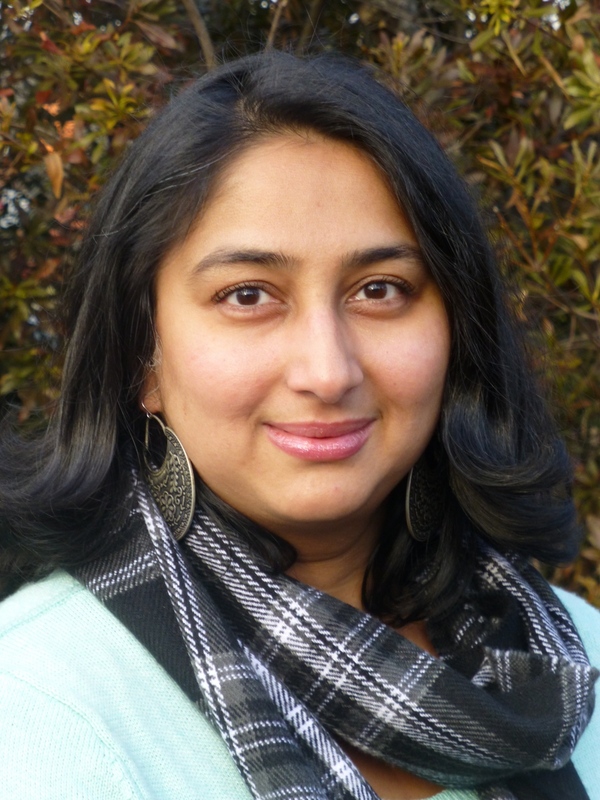 Currently at work on her second novel, Kamal speaks with Paperazzi about her book, finding a suitable agent/publisher in India, and what works in contemporary fiction today. Soniah, this novel took you a long time to write — what was the process like? Also, why did it take so long? It took me roughly a decade plus, however, in between I had my children, moved copious times, and also put the novel away between revisions so, technically, it wasn’t years of continuous writing. But, then, the putting away and thinking about the story and characters are as much part of the process as putting words on paper. Writing a decent novel takes time and I don’t think it took long but rather as long as it needed to take. How did you feel when your publisher informed you that your book was finally going into print this year? Excited but also a little scared. Until a book comes out on the shelf, it’s all yours, and, the readers you show it to are of your choosing. All of a sudden your novel is out there, in the world, where anyone and everyone can read it, and there’s a certain vulnerability that comes with that. I mean it’s not just a story on paper; it’s your heart so to speak, years and years of hard work, especially a debut work. Tell me a little about the subject and the setting of your novel – what was your inspiration behind setting the novel in Kashmir, Pakistan? 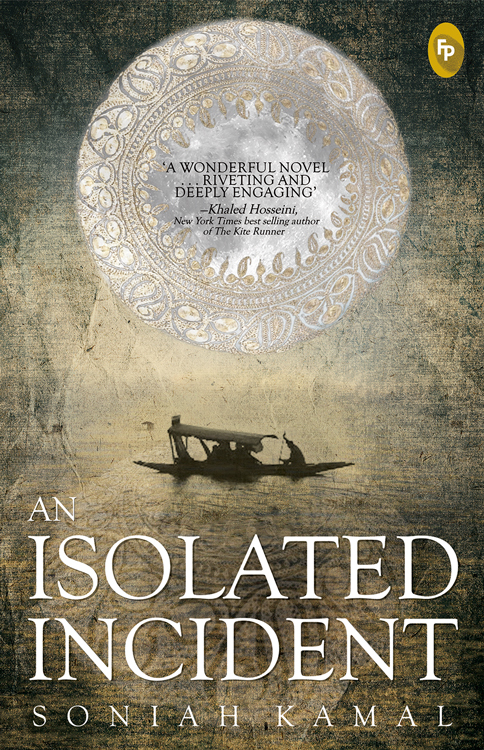 The novel is about the Kashmir conflict between India and Pakistan and I really wanted to explore the role of silence in memory and history both personal and collective. It is set in Kashmir, India, Pakistan, and Afghanistan. As for inspiration – the maternal side of my family is from Srinagar and one summer, relatives visiting Lahore related how difficult life in Kashmir was (at the time) and that a late night knock could very well mean death or even worse. I could not get the ‘even worse’ out of my mind and the story and Zari’s character were born in tandem. Billy was born when a schoolmate’s brother ran off to become a ‘freedom fighter.’ This was a boy from an affluent family, he’d studied at elite schools, was a stellar student, was supposed to make his mark on the world- only, not in the way he did. I saw how his act changed his family. Then it was just a matter of getting Billy and Zari together. Was it easy for you, as a Pakistani writer, to find a publisher across the border, in India? I submitted my novel to a few literary agents in India and, overnight, I signed on with Mita Kapur of ‘Siyahi.’ Submitting to publishers and waiting takes a little longer and my novel is out in India with Fingerprint Publishing, a new imprint of Prakash Books. I love their covers and covers are, literally, the first ‘face’ of your novel readers see and I was lucky enough to be consulted on it. I had a vague idea about a moon, a lake, and a lone boat, and sent them a picture of a black and silver shawl which my mother had given me and which plays an important role in the novel. Fingerprint sent me myriad options, all beautiful, and I chose this gorgeous cover with which I’m madly in love. What advice would you like to give aspiring Pakistani writers looking for agents and publishers in India? What route should they take? Agent or agent-less are both valid routes and the fact is finding an agent can sometimes take a long time. In India you can submit directly to publishers and so do not need a literary agent to submit on your behalf unlike in some other countries, and, in fact, as yet, there are only a handful of Indian literary agencies. However the plus to a literary agent is that they can match Editor with book, they can negotiate your contract (though if you go agent-less, I recommend you hire an intellectual property lawyer to do this), and a good agent will always be there for you even after the book is sold. I think the most important advice – before worrying about agents and publishers – is to know when your book is in the best shape possible. Storytelling is a much more complex process than simply putting hundreds of words down on paper (or on screen). Could you tell me a little, albeit briefly, about the second novel you’re working on? I’m tremendously excited about this new work but that’s all I want to share for now! Soniah, in your opinion, what kind of stories penned by South Asian writers, work in contemporary literature today? What are the audiences hungry for? I believe all writers write about subjects they are obsessed by otherwise it’s tough to consistently work on a book for years on end. That said, everything can and should ‘work’ in contemporary literature – literary fiction, thrillers, romances, science fiction, memoirs. Pakistani authors writing in English haven’t even scratched the surface yet with the cornucopia of genres out there which means exciting times ahead for writers and for readers. I think audiences are hungry for everything. I am not a literary snob when it comes to genre. To give a screen analogy, on some days you want to watch ‘The Red Violin’ and ‘Haider’ but on others you want ‘Bridget Jones’s Diary’ and ‘Dolly Kee Aye Gee Baraat.’ All smart and thought-provoking but told in very different styles. What was your reaction when you saw Khaled Hosseini’s review of your debut novel? Surreal. I consider Hosseini to be one of the best storytellers of our times and his most recent work ‘And the Mountains Echoed’ is one of the most stunning novels I’ve read in a while. So for Hosseini to say ‘An Isolated Incident’ is a wonderful novel and I should be proud of myself was, literally, a dream come true! Absolutely love the cover. I was close to picking this book up, mainly because Husseini’s comment was encouraging. I’ll get this book soon.